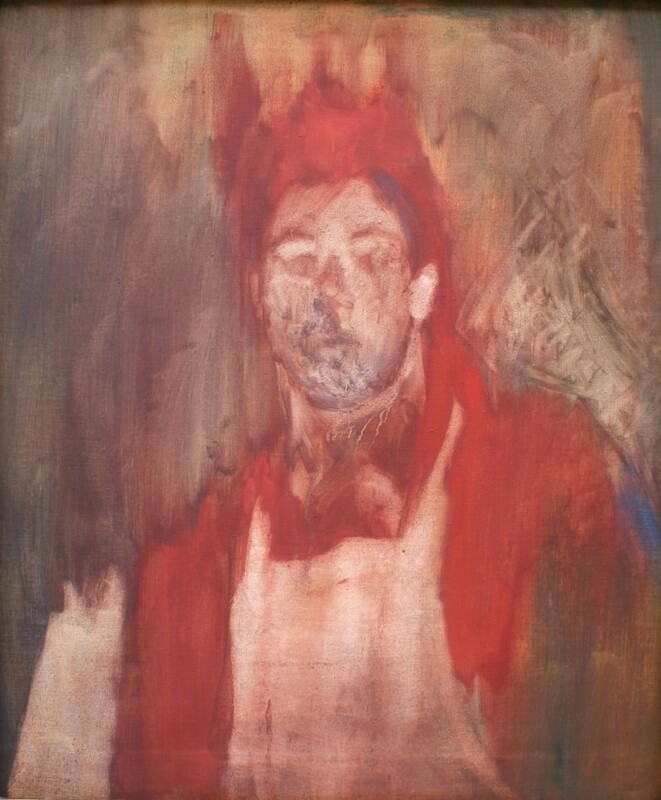 I am primarily a painter of figures, portraits, situations and memories. 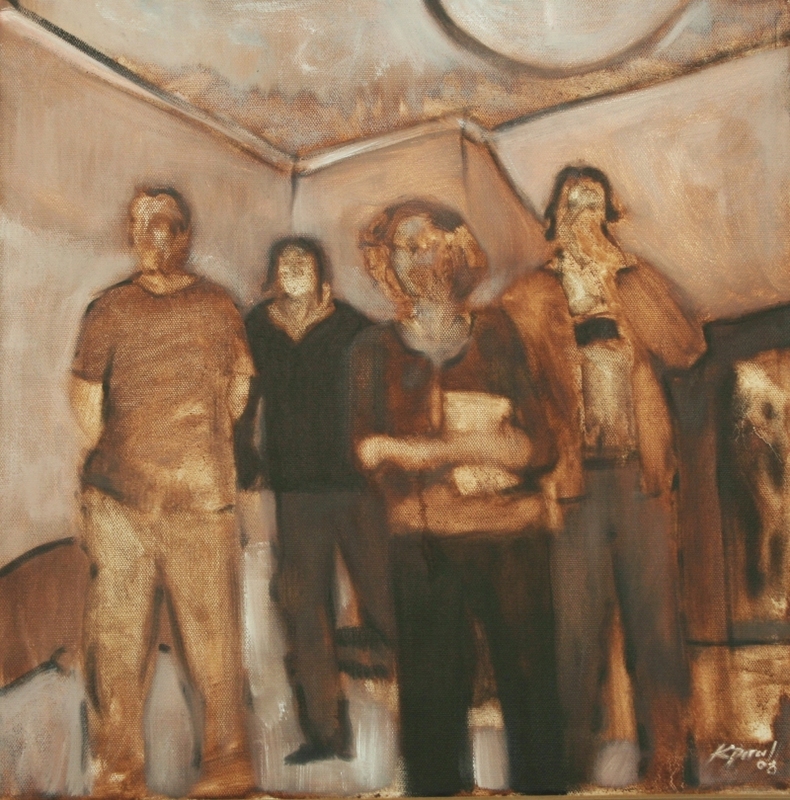 I returned to painting in 2005 after reading History of Art, Architecture and Design at De Montfort University, Leicester, inspired by three years of looking and absorbing so many great pictures. 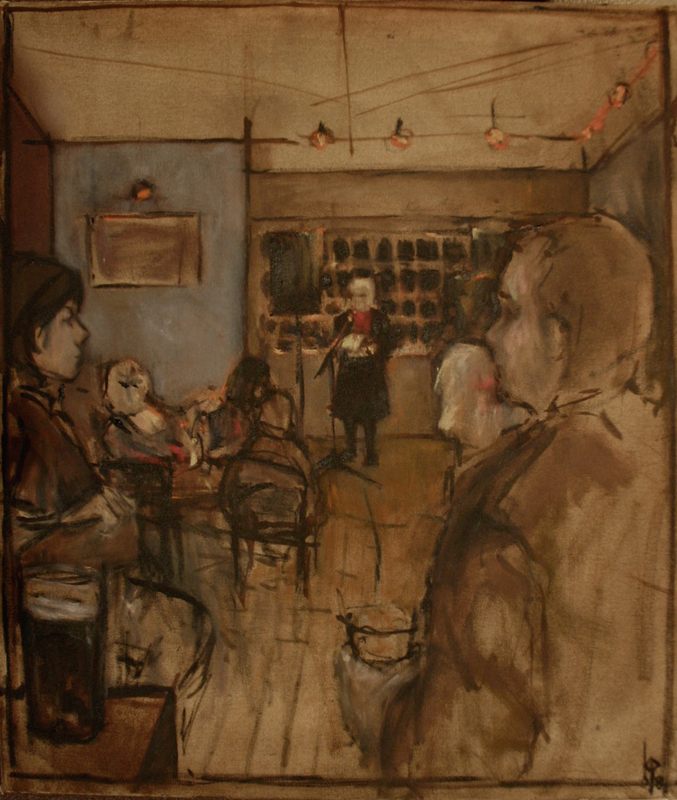 I have developed a style where the image emerges from a pallete of thinly painted browns and drizzly and bold vivid reds, something that I have been working on since seeing Walter Sickert's 'Minnie Cunningham at the Old Bedford'.